In 2013 Goldengrove Building had an annual turnover of $11 million and had two accounting staff. By 2017 they had grown to $70 million turnover and were drowning in paperwork. Therefore is now Goldengrove’s document management system which allows them to save all the relevant information into one place so that invoices can be routed from accounts to the supervisors for approval. After 30 years of providing house and land packages, Hallmark Homes had amassed a staggering amount of paperwork. Therefore is now their document management system which allows them to save all the relevant information into one place so that anyone can find the information as quickly as possible. They refer to Therefore as the central hub of their business. Hallmark have integrated Therefore into their accounts payable system to further streamline their billing process and ensure that all costs are allocated to the correct projects. The company Rampelmann & Spliethoff uses Therefore™ Information Management software to optimize their access and management of documents, in particular construction plans. With Therefore™, they’ve managed to dramatically decrease the amount of paper, which saves shelf space but also enables faster, better customer service. Caritas Moers-Xanten is an organization providing relief, development, and social services throughout the western Lower Rhine region in Germany. With Therefore™, they have revolutionized their document management, leading to streamlined, centralized invoice processing and secure, organized storage of information previously stored on paper. easy to see which information is the most recent and accurate. Therefore™ gives them a single source of truth that we can rely on. Canon Australia partner BBC Digital provides Therefore™ solutions to a wide range of customers. They also use Therefore™ internally to improve internal processes like accounts payable and leave requests with digital workflows and document management. Canon CEE is the regional sales organization of Canon EMEA and was founded in 1994. They decided to implement Therefore™ in their finance and marketing department in order to increase their efficiency, productivity and collaboration between the teams. The organization use automated workflows to simplify their invoice processes. By doing so, they have a better overview of their documents and avoid mistakes, as well as document loss. “Grufesa’s aim is to turn the strawberry into a unique experience.” This is what moves this cooperative since 1983, when a group of farmers put the seed of the current Grufesa, the producer and referring marketer in the strawberry sector in Huelva, Spain. Grufesa uses Therefore for the daily management of delivery notes, goods records, invoices and contracts. This has solved their problems related to the lack of space in archive and paper intensive processes, increasing security in document administration and avoiding lots of printed copies. The Canary Islands Animal Feed Company (CAPISA) produces animal feed on the Canary Islands. With Therefore™, they centralize and accelerate the management of their invoices in five different locations, streamline their accounting and purchasing processes, while reducing their costs of sending and processing of documentation. Rettenbacher Landmaschinen sells, repairs and maintains agricultural equipment. They use Therefore™ to digitize and archive their paper documents, including delivery notes and handover reports. In so doing, they have simplified and streamlined their business procedures and reduced time spent on administrative tasks by 30%. Canon Solutions America provides industry-leading printing and software solutions. They have implemented Therefore™ in their HR department to improve their on-boarding processes. With Therefore™, they have easier, faster access to their documents, increased security and reduced storage costs for paper documents. Each Human Resources employee now saves more than four hours per week, giving them more time to focus on strategic tasks like talent acquisition. Orenes Group decided to implement Therefore™ in order to manage all their slot machine information from a centralized server and this way enhance control and compliance with legal requirements. Soon the project became bigger, including other processes and departments such as invoicing, knowledge base and administration. Prestige Group is the largest real-estate development company in South India and deals with a high number of documents. By implementing Therefore™, they have reduced their vast amount of paperwork and eliminated missing and misplaced documents. With Therefore™, information can be found in seconds, which has improved the company’s customer service and traceability. Vongchavalitkul University is the first private university in the northeastern region of Thailand. Due to the high number of students and the digitization of the Thai student loan fund, the university was looking for an information management system. With the help of Therefore™, they are now able to retrieve information quickly and easily. Moreover, they have saved printing costs and improved their efficiency. Weastec is a global manufacturer of vehicle electronical components. 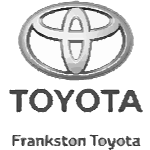 Their branch located in Hillsboro, Ohio has implemented Therefore™ to help streamline business processes and workflows across all company departments. Using the powerful combination of Therefore™ and IRIS, Weastec has eliminated paper, and now saves considerable time on expense approvals and the handling of shipping documents, as well as accounts payable and receivable processes. Controlled Motion Solutions (COMOSO), headquartered in Santa Ana, California, provides motion and control technology systems. Using Therefore™ and multi-functional printers and scanners, they were able to digitize large amounts of paperwork and eliminate rows of filing cabinets. They are now able to store, retrieve and approve documents quickly and easily throughout their multiple branch sites, saving time and money and optimizing efficiency. Volkswagen Financial Services uses Therefore™ to improve their invoice processing; thereby reducing costs, avoiding errors or delays, and gaining complete control over the state of every document. The system automatically recognizes the data of every invoice, extracts the information, and controls the approval process which can include more than 60 people. The invoice is finally sent to SAP for automatic posting. The University Padre Enrique Ossó is located in Oviedo, Spain and consists of 72 employees. They were looking for a way to improve the interdepartmental communication and thus began their document management project in the administration department together with Canon CBC in Oviedo. Using Therefore, they have been able to improve their organization and efficiency in archiving and processing documentation, which has enabled them to enhance and save time in communicating and transmitting information throughout various departments. Alu Menziken is a Swiss company that manufactures extrusion press products. Before Therefore™ was implemented, their administration dealt with a high volume of paper documents. Thus it was decided to improve their handling of job folders and HR files by integrating Therefore™ with SAP. Now all documents are digitized and saved in Therefore™ and can be easily accessed with a click of a button. Furthermore, they have simplified their filing process and saved storage room. Hungaropharma Zrt. is a dominating pharmaceutical wholesaler in Hungary. The company distributes about 16,000 different medications in Hungary, as well as an additional 6,000 different non-medicinal pharmacy products. Hungaropharma are using Therefore™ to process their incoming invoices and archive their documents, which are created by their SAP system. Deloitte Hungary provides advisory services in audit, tax, legal and advisory for a wide range of large local and multinational companies, public institutions and dynamic growth companies. In Hungary, the services are provided by Deloitte Auditing and Consulting Limited (Deloitte Ltd.), Deloitte Advisory and Management Consulting Private Limited Company (Deloitte Co. Ltd.) and Deloitte CRS Limited (Deloitte CRS Ltd.), (jointly referred to as “Deloitte Hungary”) which are affiliates of Deloitte Central Europe Holdings Limited. Deloitte CRS processes their customers’ paper based and electronic documents using Therefore™. This ensures the security, traceability, visibility, reactivity and productivity of all these documents. Vittel is a small town with a population of 5484 situated in Lorraine. The town hall manages 25 multifunctional devices at nine different locations, such as the town hall, the police station or the local schools. By implementing Therefore™, they have decreased the processing time of various documents, reduced the number of print-outs by 35%, and saved €3,000 Euros of printing costs per year. Lancaster is one of the leading skincare companies specialized in sun protection. By using Therefore™, they have improved their outgoing and incoming invoice processes, reduced their printing and paper costs, as well as their physical storage space. By digitizing their paper documents, they have gained €18,000 and saved an additional €14,000 of printing costs per year. Furthermore, they are now able to trace every step of their invoice processes which has decreased delays and errors. “Neckargemünder Hof“ is a nursing home with more than 100 employees in Neckargemünd near Heidelberg. By using Therefore™ and Canon document scanners, they have been able to digitize their patient documents and save them into Therefore™. By doing so, the nursing home can archive their documents in a structured way and retrieve them quickly, leading to faster, more efficient work processes. “Life Live It” is an Occupational Therapy provider in Perth. By implementing Therefore™ in their practice, they have improved their security and the ability to access client files on the go. They have also installed a standardized workflow across their business, allowing them to provide clients with a more comprehensive and reliable service. VCK Logistics SCS Projects GmbH is a German logistics company which had to deal with a high number of delivery notes. Thanks to Therefore™, they have been able to improve and automate their administrative processes using workflows. They have also decreased the amount of paperwork and reduced costs due to a faster processing time. Cavi Ambit is a real estate agency which manages the sales, lease and purchase of private and commercial properties in Catalonia, Spain. Cavi Ambit upgraded from Document Server to Therefore™ to gain further efficiency by installing workflows. Now they use workflows to control various critical parts of their business such as the expiration of leases. Since they now have complete control over their processes, they have saved a lot of time, money, and work much more efficiently, knowing they have a controlled and consistent system. The Bishopric of Terrassa is located in the greater Barcelona area of Spain and consists of 140 parishes and diverse parochial schools. As many of their original documents are very old and valuable, they wanted to digitalize them in order to minimize the risk of damage or theft. Using Therefore, they were able to make digital copies available throughout all parishes at any time, by all users, improve their IT infrastructure and limit risk of damage or loss. Woonbedrijf is a social housing organization based in Endhoven, Netherlands. Over 400 employees work with Therefore™, to digitize distribute, read and archive all mail. Moreover, Therefore™ has been seamlessly integrated with their ERP system. Since implementing the solution in 2013, Woonberijf has noticed great efficiency gains, a decrease in paperwork and significant time savings. The Swedish Red Cross University College (Röda Korsets högskola) trains nurses to work globally in emergency relief and disaster prevention programs. The college uses Therefore™ to ease the burdens that come with managing contracts, agreements and student files. Therefore™ was chosen due to its ease of use and hassle-free integration with Microsoft® Office. Since implementing the solution, the college has been enjoying gains in administrative efficiency. Isolana, Compañía Española de Aislamientos S.A, has been distributing and selling construction and interior design materials and brands since 1939. Isolana produces numerous business documents which have to be stored and retrieved in case of potential claims. With Therefore™, they have achieved total control of all documents, improved internal administrative processes, and reduced the cost of shipping documentation. Fama Sofás is one of the top and most innovative sofa manufacturers in Spain. They have gained greater agility in invoice approval through Therefore™ workflows and ERP integration. Moreover, they have also reduced a significant amount of their paper documents. Using Therefore, Canon Austria has developed streamlined workflows for managing all the documentation related to the sales process, from the initial opportunity, to order management and rollout. This has decreased the workload for all team members involved in the process, as they can be sure that all necessary steps have been completed and all the relevant documentation is available instantly. Beiersdorf is an international skin care company with globally leading brands such as NIVEA, Eucerin, La Prairie, Labello and Hansaplast. The company’s branch in Greece uses Therefore™ to issue credit notes to customers. This saves time and costs, increases the credit control department’s accuracy and efficiency, and reduces the amount of paper work. The shopper and customer marketing department has profited, as well. By installing Therefore™, they have improved several key work processes. Altes Tramdepot is a restaurant and brewery located in Bern. By using Therefore™ they have extremely improved their administration and internal infrastructure, which gives them more time to focus on their customer service. Furthermore, by digitizing their paper documents they have been able to save storage space. Colegio de Abogados de Vigo is the Lawyers’s Bar Association (Lawyers Professional Association) in Vigo, addressing civil, criminal, administrative and other legal issues in the city of Vigo and providing insurance services, collective agreements, and cultural activities for the continuous learning and development of its 2,500 affiliates. Colegio de Abogados de Vigo uses Therefore™ along with desktop scanners or MFPs to automatically capture and archive the cases, legal cases and accountancy documents of their affiliates and employees. Searching, retrieving and adding files to cases is extremely easy and agile, and by integrating with their management application, any case can be retrieved at the click of a button. All this while moving to a paperless office! Before using Therefore™, Canon France faced the administrative challenge of a centralized system, having to send hundreds of paper records to the Canon headquarters every month. By implementing Therefore™ and digitizing their documents via barcode recognition, they have significantly simplified this process. They have improved their supply chain workflow and the management of customer files. Now every step of each process is traceable which has led to better customer service and communication between the departments. Rijk Zwaan is a Dutch company that specializes in the development and distribution of vegetable seeds, with 30 branches worldwide. Their branch in France focuses on research, development, marketing and production. With the help of Therefore™, they have optimized their invoice processes, increased their productivity and have freed up time to focus on more strategic tasks. The Belgian utility company Yvan Paque has improved their invoicing process using Therefore™ as part of Canon’s overall solution. Using Therefore™, Canon New Zealand has converted their paper files to electronic form, enabling them to increase office space, easily and more quickly find their documents, and improve document storage security. As a result, they have become more efficient in their business practices and improved their ability to respond to customer needs in a timely manner. 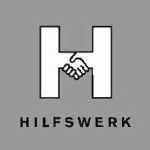 The Austrian healthcare organization Niederösterreichisches Hilfswerk uses Therefore™ in their HR department to manage records for thousands of employees in 70+ regional offices. The new case management feature and the ability to automatically generate documents saves them time and helps eliminate errors. 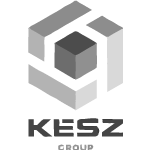 KÉSZ Group is a well-known Hungarian construction company. They have built the SkyCourt at Budapest Airport and also rebuilt Kossoth square in Budapest. KÉSZ use Therefore™ to improve their workflows, and save time and paper. Since the installation of Therefore™ they have increased their invoice processing by 30%. Moreover, they use an advanced scanning solution to save paper documents directly into Therefore™. Through its subsidiary specializing in the hotel business, the Deret company manages more than 20 facilities throughout France. By implementing Therefore™ and IRIS in its finance departments, Deret has been able to increase its productivity through standardizing invoicing processes throughout all hotels in the group, and offer better customer service through reduced processing times, and better access to information. Linet, a leading world manufacturer of medical technology, utilizes Therefore™ for the administration of technical drawings, and other documents including test protocols, technical specifications and marketing materials. Thanks to Therefore™, the processing time needed for one design plan has decreased from two weeks to just one or two business days. Vlastimil Jahoda, head of technologies at Linet says, “Our designers and engineers in particular are very enthusiastic about what Therefore™ offers them. We are very happy to have chosen this system for document administration”. The community of Freyming-Merlebach in France has used Therefore™ to digitize their incoming and outgoing mail, thereby increasing their traceability and boosting employee productivity. Canon Russia has successfully implemented Therefore™ and makes use of it in various aspects of their everyday business, such as managing incoming and outgoing correspondence, archiving documents and managing contracts. The Maschine Foundry Liezen is specialized in creating complex machines and parts. They’ve been using Therefore™ since 2003 to optimize their proceses, including the management of changes to CAD drawings and their finance documentation using a connector to SAP Netweaver. Coface is a credit insurer, which provides guarantees or insurance on accounts receivable arising from the sales of commerical goods and services on credit terms. Coface uses Therefore™ to manage their incoming invoices, legal and other documentation. Coressa is a municipality located in the greater Barcelona area. The employment office in Coressa uses Therefore™ to help organize necessary files, as well as digitize their invoice process, increase the employee’s productivity and eliminate the duplication of old versions. Ondulys, a producer of congregated cardboard products in France, wanted to deploy a powerful document management solution which could integrate into their existing infrastructure and archive their critical business documents such as invoices, delivery notes, purchase orders, quotes and more. Canon was able to provide the complete solution, and installed Therefore™, PlanetPress, and IRIS software to help them achieve maximum efficiency and accessibility of all information. The Peugeot car dealership Azur sells new and pre-owned vehicles as well as service and spare parts throughout the entire Alpes-Maritimes region in France. The installation of a complete document processing and storage system, from Canon Multi Functional Printers to PlanetPress Suite and Therefore™, has helped reduce business costs by €20,000 per year. Yarra Valley Water provides water and sewage services to over 1.6 million people and businesses in the Melbourne area. Therefore™ and UniFLOW were implemented to help them reduce costs and waste and work more efficinetly. Part of the Lagan Group of companies, Whitemountain Quarries is a leading supplier of quarry materials, surfacing products and services. Using Therefore™, they’ve been able to integrate with Sage, Microsoft SharePoint, and save upwards of 30,000 GBP ($50,000) a year. The Malcolm Group is a major provider of logistics and construction services throughout the UK. Wayne Dalton manufactures garage doors. Using Therefore™, IRIS, and PlanetPress, Wayne Dalton has been able to significantly improve their document, and print management. They have complete traceability over all actions that have been taken, in addition they can quickly and easily find all informaiton. This has allowed them to save €43,000 a year, thanks to Canon’s solutions. In cooperation with CIGES, Therefore™ provides the Swiss communities a tailored information management solution. Vanerum manufactures, distributes and installs products and solutions to help create an interactive learning environment. By using Therefore™ they were able to improve efficiency in archiving and finding documents. Van Wieren & Vellinga is an accounting and tax advisory firm based in the Netherlands. By continously investing in knowledge and in technology, van Wieren & Vellinga is able to provide exceptional service. Van Dillewijn develops, produces and distributes packaging materials for flowers and plants in the Netherlands. With Therefore™ and IRIS, they’ve been able to create a fully automated solution for their invoice processing, which has reduced their costs by over 30%! Nova Ingenierie offers recruitment and consultation services for technical firms in the Rhone Alps region of France. Previously, all their candidate information was stored in a standard Windows folder structure, which proved inadequate for their business needs. Now they use Therefore™ to manage these procedures and are able to deliver faster responses, greater efficiency and better customer service. Triton Showers has been producing quality shower products in Britain for more than 30 years. Tobermore is a supplier of quality block paving and landscaping materials based in Northern Ireland. Terre Comtoise is an agricultural cooperative in France. They’ve improved their access to information as well as their financial documents,by integrating Therefore™ into their existing infrastructure. Team Global is an international courier company located in the Heathrow airport. Using Therefore™, they’ve been able to save costs and improve their customer service operations. SystemKosmetik is a full service manufacturer and developer of cosmetic products based in Bavaria, Germany. Using Therefore™, they’ve been able improve access to their files, ensure their documentation is secure and have integrated Therefore™ with their back-end ERP system. Studio Claudio Lugli is a full service Italian firm offering support in finance, tax consulting and corporate restructuring. St. James hospital in Ireland was able to dramatically improve the access to documents and patient records. They’ve implemented Therefore™ in several departments, including Finance, HR, and medical imaging. In addition, they’ve integrated Therefore™ completely with their SAP system and restricted access to sensitive information to appropriate personnel, leading to an advanced, user friendly, and highly secure solution. South Tyneside NHS Trust provides community and hospital services to the people of South Tyneside in the UK. With Therefore™ they have not only saved 400 metres of archive shelf space but also improved their service to patients and made their method of accessing information more efficient. Scania started in 1891 and has built over 1.6 million trucks and buses for heavy transport. Therefore is used in two locations in Sweden which handle cab production and the final assembly. Using Therefore, Scania’s IT department is able to securely store and back up their production documents. RiiS Glas og Metall was able to automate several proceses related to the order management process, which has helped them speed up internally as well as decrease the amount of paper in circulation. With Therefore™, RIIS is now more flexible and has a better workflow. PFI (Prüfungs- und Forschungsinstitut) Germany is a testing and research institute that provides consumer product testing and services for a wide range of clients and markets. Using Therefore™, their accountants can work up to 60% faster. Post & Co is an independent partner for marine liability and logistics insurances in all aspects of the shipping logistical chain. With offices located in Rotterdam and Antwerp, Netherlands, and Seoul, South Korea, Post & Co operates globaly. Objectflor offers a wide spectrum of designer flooring in assorted colors and materials for all flooring needs. Therefore™ assists Northumberland County Council with a quick and flexible document management system for over 20 million records. NHS Coventry is responsible for making sure that the population of Coventry has access to the highest standard of healthcare they need. By integrating Therefore™ with their SAP-System, n|w has made the process of finding and sharing documents easier, faster and more efficient. M Comme Mutuelle, an insurance company in France, uses Therefore™ to manage their processes and securely store their customer files. Menschen für Menschen, meaning “People for People” in German, is a non profit organization based in Germany focused on providing development aid to Ethiopia. Malex City Copy Service is a Canon Advanced Office Solutions Partner in Belgrade, Serbia. Since 1990, Malex City Copy Service has been successfully importing, selling and servicing photocopiers, fax machines and MFPs, as well as selling consumables, accessories and spare parts. Maklerzentrum Schweiz is a leading provider of insurance and insurance solutions for private and corporate customers throughout Switzerland. Maitre Schaller is a notary based in France. Using Therefore™, they have been able to find their documents more easily, and decrease the amount of paper in circulation. This has helped them save time, reduce errors, and improve their way of working in the office. The city of Herrlisheim in north France uses Therefore™ to improve their internal workflow, decrease the amount of paper, and gain visibility and traceability over all processes. They are now proud to have increased their productivity. Magnolia is a leading brokerage firm in online loans. By archiving their 28,000 dossiers in Therefore™, they’ve been able to fluidly manage their documents, improve their productivity and reduce the amount of paper in circulation. Mag. Dr. Gerwin Kuerzl is a tax consultant and accountant based in Styria, Austria. Using Therefore™ and I.R.I.S. he’s been able to automate his processes, decrease errors and save time and money. Macawber Beekay uses Therefore™ in their finance department to manage invoices and workflows. Implementing Therefore™ has decreased the amount of physical paper work, saving employee time and office space. Lyon’s Official Tourist office, in France uses Therefore™ in numerous business processes to help improve their productivity, reduce their reliance on paper, and respond more quickly to customers’ queries. In addition, they have implemented Therefore™ Connector for Microsoft® Exchange, which has improved their e-mail archiving. LTA is a manufacturing company specialized in working with metal. Thanks to Therefore™, they’ve been able to create a revision-proof archive for their documents and optimize their customer service using Therefore™ Workflow. In addition, by using the Therefore™ Universal Connector in conjunction with Microsoft Axapta, their ERP system, their accounting department also works more efficiently. Louis Royer has been producing Cognac since 1853. The company now uses Therefore™ to help improve their invoice process and decrease the amount of paper in circulation. Laube GmbH has been active in psychological support services for over 25 years. Using Therefore™, they were able to centrally archive all their documents, simplify retrieval, significantly increase the security of stored information and speed up invoicing and other processes. Las Marismas is an agriculture cooperative that produces cotton, tomato and other vegetables. Using Therefore™ and uniFLOW, they have been able to gain control over their printing, increase their productivity, decrease costs, and work more efficiently by electronically processing all documents related to incoming merchandise from their farmers and associated warehouses before trucks arrive. The cooperative associates can remotely connect to the system and check order and payment status. Kemmler Kopier Systeme uses Therefore™ to manage their customer files, contracts, invoices and delivery notes. They’ve improved their customer service and their contract management with Therefore™. KBZ is a German law firm based in Frankfurt, Germany. They integrated Therefore™ into their legal software, RA-Micro, and have been able to optimize their processes, access to data, and security of their information. JCD Entreprise is specialized in providing marketing and HR services for stores in France. Therefore™ has improved the efficient handling of a variety of documents and has increased paperwork efficiency. Therefore™ allows Isola di Capo Rizzuto, a small municipality in Italy, to easily and efficiently digitize and secure their historical archive, thereby saving on administrative costs while increasing security and traceability. Goodwille has been helping foreign companies start up in the UK since 1997, offering all types of administrative support, from registering their customers in the UK, to opening banking accounts, budgeting and forecasting, to payroll services, and HR planning. Goodwille is easily able to help its customers with all aspects of running a business by using Therefore™. GEV is an Austrian company that provides over 70,000 replacement parts for commercial and private kitchens and appliances. Using Therefore™, they’ve been able to become nearly paperless and efficient. The Health Network of Valais, Switzerland consists of 9 hospital sites and a central institute in the Valais region of Switzerland. With Therefore™, the Health Network has optimized workflow, gained physical space thanks to electronic storage and has improved the security of their documents. Föllmi AG in Switzerland installed a creditor workflow to increase the transparency and flexibility of staff and improve customer service. Now team members can sign off on invoices from anywhere they happen to be, even using a tablet at a construction site, in complete security. Fincas Sancho Gil specializes in real estate and building administration. Workflows implemented in critical business processes, such as flat cancellations, rental contracts and processing documentation, have enabled the company to eliminate errors related to manual processing, avoid unnecessary duplication, and work in a more efficient manner. Equilabo upgraded IW Document Manager to Therefore™ in 2011 to improve their ability to find information and work efficiently. They use Therefore™ to archive all paper documents as well as manage their invoices. Euradif produces high quality doors and paneling. Before implementing their document management system, their order and sales processes were completely manual and required a lot of paper. After installing Therefore™, they now have an electronic, efficient workflow which has helped them significantly reduce their impact on the environment. In addition, they have automated their processes, reduced costs and achieved complete traceability and versioning of all documents. Egger GmbH is one of the largest producers of particle boards, flooring laminate and home décor products in Europe. They have fully integrated Therefore™ into their SAP system, now storing over 60 million documents in the system and adding over 30,000 new documents on daily basis. Therefore™ is the ideal stable, and fast solution to store this diverse set of strategic documents. DSV is a global supplier of transport and logistical solutions. With around 22,000 employees worldwide, DSV recorded an annual revenue of 6 billion euros in 2011. DIF Assurance is an insurance agency specialized in automotive risk. By implementing Therefore™, they have been able to ensure secure storage for their legal documents as well as save time and process their insurances cases more quickly. Coquidé has implemented Therefore™ to help manage their invoices. They’ve been able to save time, reduce the number of photocopies by more than 1800 per site, improve productivity, as well as take advantage of two of Canon’s complementary solutions, Canon & IRIS. The town and comune Chieri is located in the province of Turin, Italy, and has around 36,000 inhabitants. With Therefore™, they’ve been able to improve the security and access to their city information. Closed is a German retail-clothing store, offering fashionable, quality clothing for women and men. Closed was able to optimize their process for outgoing invoices as well as archive all emails using Therefore™. The Centre Médical Europe installed Therefore™ in 2009 to improve the handling and classification of patient files. By installing Therefore™, documents are now automatically entered and classified using barcodes, and the staff has benefited from automated processes, better accessibility to information and saved time, enabling more focus on value-added tasks. Canon Switzerland’s accounting department is using Therefore™ to work more efficiently, saving time and money. Canon Norway has successfully implemented Therefore™ as their information management system in their HR department. By using Therefore™, they have been able to reduce the time spent searching for documents. In addition, they have made their information more relevant, improved their security, and made better use of their HR archives. Canon Italy uses Therefore™ to quickly and efficiently manage their purchase requests. Therefore™ enables Canon Italy to maintain traceability, visibility and security over the entire processes of the company as well as to provide more accurate and faster response times. Canon Spain has successfully implemented Therefore™ as their information management system in several departments including finance, accounting and customer services. CAB in Italy has improved their access to information, productivity and integration thanks to Therefore™. Bishopric of Astorga uses Therefore™ to help organize key documents including maintenance contracts, accounting information, inventories, and more. By integrating their Access database and digitalizing data, the bishopric was able to reduce manual handling of paperwork, improve the method of finding information and increase the security of all information. The Bank of Valletta is one of Malta’s leading financial service providers as well as one of the country’s largest employers. Using Therefore™ Developer Edition, they are able to completely integrate Therefore™ into their back-end banking system. AVIS Canarias is dedicated to car rental in the seven Canary islands. They use Therefore™ to help manage over 150,000 rental agreements and invoices anually and to increase security and productivity. The shipyard in Mallorca uses Therefore™ to automate their invoicing process and gain time and security over their documents. 3×34 is a transport and moving company based in Denmark, with offices in Copenhagen and Odense. They use Therefore™ to store their delivery notes and other transactional documents. Canon Germany uses Therefore™ to make their Contract Management workflows simple, transparent and efficient.